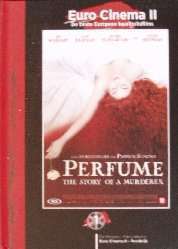 Plot: Based on the bestselling novel "Perfume" is a story of an obsession so overwhelming that it leads to murder. In18th-century France lived Jean-Baptiste Grenouille (Ben Whishaw) who was born with a phenomenal sense of smell. But as his gift becomes an obsession he strives to create the most intoxicating perfume in the world by murdering young women to capture their essence.